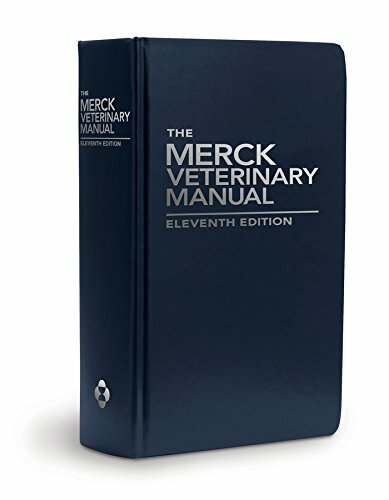 911910611 –The Merck Veterinary Manual (MVM) covers all domesticated species and diseases in veterinary medicine worldwide. This completely revised and redesigned new edition of the veterinary classic uses a two-column format and color throughout for easy-to-read text and tables. Hundreds of color images enhance and illustrate the text. In addition to extensive revisions and updates, this edition includes a new section on public health and zoonoses, expanded coverage of fish and aquaculture, new chapters on backyard poultry, toxicologic workplace hazards, smoke inhalation, and additional coverage of numerous new and emerging topics in veterinary medicine.